StoreWALL offers a great range of solid steel brackets for your slatwall installation. Each bracket is powder coated and comes with our patent pending CamLok™ providing your equipment with added security and stability. 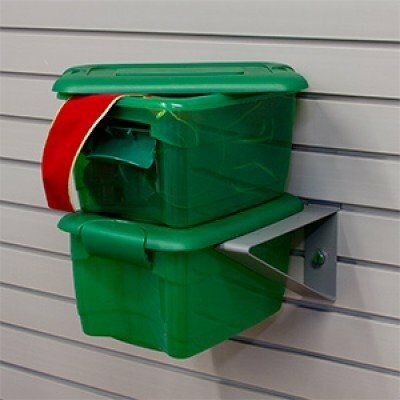 Our brackets can be used to store your bikes horizontally on the wall or for our StoreWALL shelves. Additionally, they can also store your containers and large items like timber. 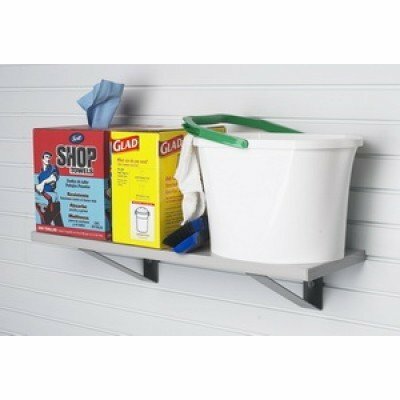 Easily use our StoreWALL heavy duty slatwall shelf brackets with StoreWALL's great range of plastic shelving options. Alternatively you can also design your own shelf. 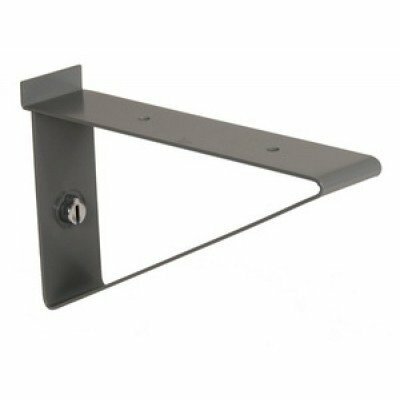 Two drill holes to secure your shelf are included with each bracket. Sold as 1 bracket. Load rating of 34KG per bracket. Optional extra: Each bracket comes with our exclusive BracketPacket, which contains non-slip discs and shelf clips to secure the shelf to the bracket. Requires minimum of 2 brackets per shelf. Maximum recommended weight capacity for a combined set is 68 KGs and assumes the wall panels are installed with Installstrips.